Tooshlights help you know where to go from CNBC. We spend a lot of time in the bathroom. It’s a happy place. Yet most public restrooms repel rather than attract, though, like a tetanus shot, when you need one, you need one. It cannot be avoided. One year later, Tooshlights has launched. It’s debuting for the Hollywood Bowl’s summer season. Klevens said three other installations are in the works at other venues. 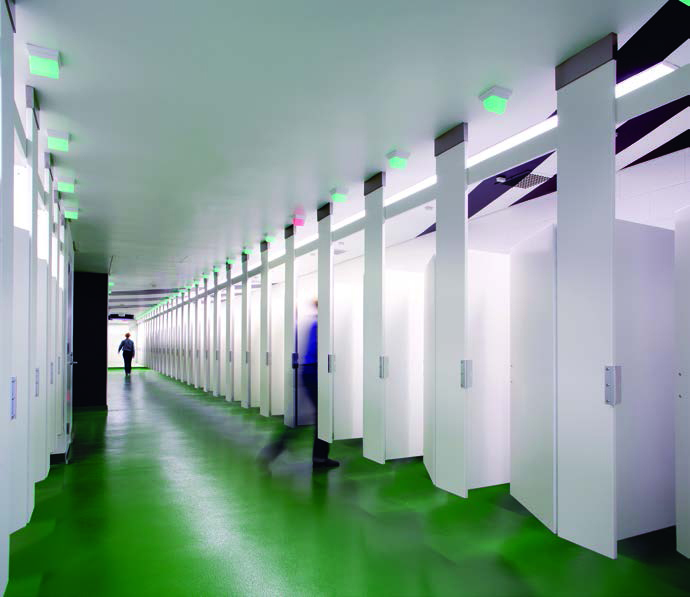 The Tooshlights system works like this: Each bathroom stall has a green light above it. When you enter the stall and push the latch to lock yourself in, a wireless signal turns the light red. Unlatch the door, and the light goes back to green. This way, anyone standing in line can see which stalls are occupied and which are empty. No more bending over to look for feet under the door. Up next is a Tooshlights app built into a venue’s overall app which tells people where the closest bathrooms are and how many stalls are available. Freshends now has more than 200 commercial clients, including several private jet centers and high-end hotels. Business has more than doubled in a year. The wipes are individually packaged and can be placed in a small dispenser. While most are sold in bulk to facilities, consumers can also buy them online. “A lot of people think of it as possibly a feminine product, and we have more men order our product online than women,” Beck said. At first, they discovered that pitching Freshends required walking a fine line between bluntness and delicacy. Twenty minutes into pitching the product to a country club general manager, he still thought they were describing hand towels.